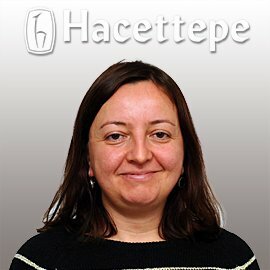 Dr. Akdemir graduated from Hacettepe University Medical School in 1998. She completed her Child and Adolescent Psychiatry training in the Department of Child and Adolescent Psychiatry at Hacettepe University Medical School. She received the title of assistant professor in 2010 and associate professor in 2014. She worked in Boston Children’s Hospital, Harvard University about inpatient treatment and consultation liaison in Child and Adolescent Psychiatry in 2008. Dr. Akdemir was the recipient of the 2008 Turkish Journal of Psychiatry Research Award and the 2009 Prof. Dr. Mualla Öztürk Child Mental Health Award. She was a member of the board of directors at the Turkish Association for Child and Adolescent Psychiatry between 2006-2008. Dr. Akdemir’s academic interests include eating disorders and adolescent period problems and psychopathologies. Foreign Experience / Education Harvard Medical School, Children’s Hospital Boston, “International Child Mental Health Visiting Scholars Program”, Boston, 01/03/2008-30/06/2008.